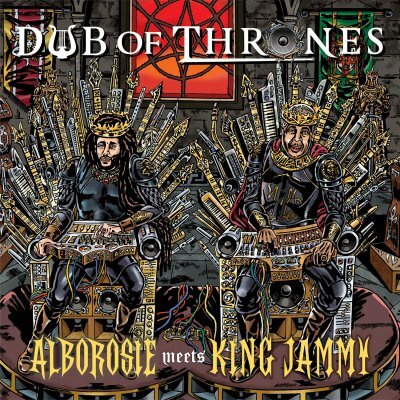 VP Records/Greensleeves is happy to announce the release of Alborosie Meets King Jammy - Dub Of Thrones, a historic pairing of one of Jamaica's most pivotal dub legends King Jammy with the modern day Italian-born dubmaster Alborosie. Papa Albo makes full use of his analogue armoury clashing head to head with the mighty King Jammy in a "Game Of Thrones" themed dub summit. The album comes complete with stunning Tony McDermott 'Game Of Thrones' inspired artwork. The album includes a fully-illustrated package by Tony McDermott, Greensleeves Records' go-to artist for almost four decades known for his iconic cartoon imagery depicting Jamaican Music. The mostly instrumental collection will be available on CD, limited edition vinyl and digitally. Alborosie and King Jammy plan to tour, sound system style, in support of this release. Dates to be announced. Born Lloyd James in Montego Bay, Jamaica - King Jammy aka Prince Jammy has always had a deep understanding of electronics, allowing him to furbish his own sound system with tailor-made equipment. He has played a seminal role in many of Jamaica's musical eras - including dub, roots reggae and dancehall.The reggae pioneer, producer and dub mixer began his career as an apprentice under the late great King Tubby in the 1970's as a member of dub's royal family. In 1976, he replaced Prince Philip Smart at Tubby's Waterhouse studio when Smart headed for New York. 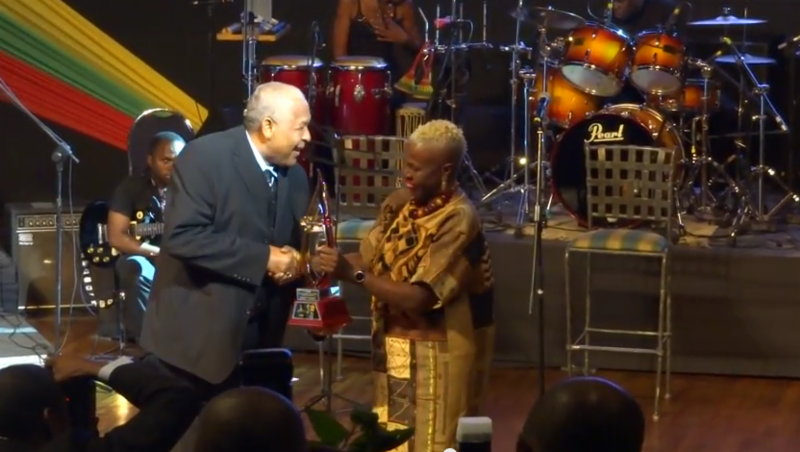 Jammy's new position meant that he was able to get his hands on some of the finest roots reggae of the era, mixing classic rhythms by the likes of Vivian "Yabby You" Jackson and Bunny "Striker" Lee. Just a year after his tenure with Tubby began, Jammy found himself mixing the lion's share of the rhythms passing through the studio at 18 Dromilly Avenue. Bunny Lee was particularly impressed with Jammy's mastery of the equipment, employing the young engineer's skills almost exclusively. In 1977, Jammy was enlisted to mix the dub counterpart to "In the Light," Everton DaSilva's classic production for Horace Andy. The versions Jammy concocted simultaneously proved that he was well versed in the techniques acquired from Tubby and that he had developed a distinct mixing voice of his own.That same year, he made his first notable venture into production work, recording the debut of Black Uhuru, a young vocal trio from Kingston. The resulting Love Crisis (and its remixed incarnation, Black Sounds of Freedom) represented a breakthrough for both parties.Jammy then continued his dub explorations, mixing the bulk of the Black Uhuru tracks for his excellent Jammy's in Lion Dub Style set.Further productions followed, including hit albums (and singles) for emerging dancehall artists like Half Pint (Money Man Skank and One in a Million) and Junior Reid (Boom Shack a Lack).As the '80s dawned, Greensleeves released the Big Showdown set: a fictional dub battle between Jammy and Tubby's former colleague, Hopeton "Scientist" Brown.In 1985, Jammy changed the music game forever. He provided one of the first digitized rhythms for the single "Under Me Sleng Teng" sung by Wayne Smith. This track undeniably sparked a digital revolution in the reggae world and helped shaped the sound of dancehall.Jammy's productions and sound system dominated reggae music for the remainder of the 1980s and into the 1990s.He continues to work as a producer, working with some of the top Jamaican artists today. In Major Lazer Take Kingston - a documentary released by Rolling Stone this month (March 2015) - the electronic DJ group heads to Jamaica to meet with King Jammy to discuss his major influence and role in dancehall. 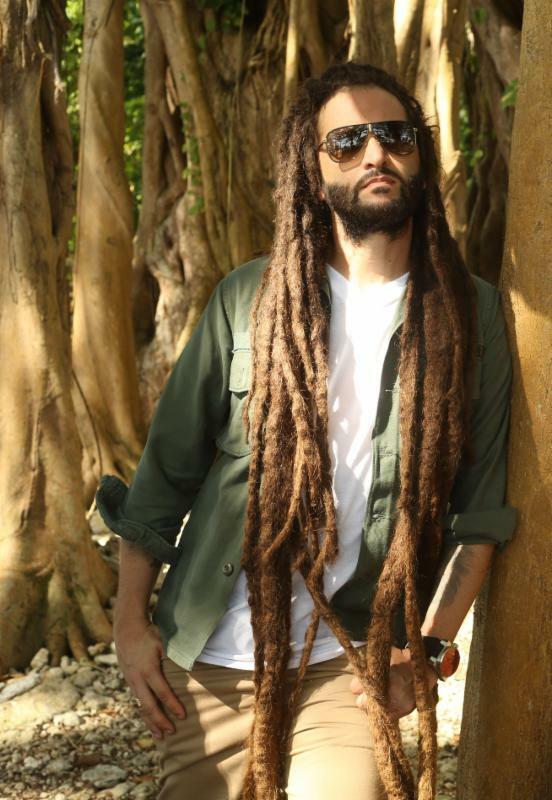 Alborosie may not be Jamaican by birth, yet he promotes reggae music in its truest sense. With dreadlocks almost touching the floor, the Italian singer, producer and multi-instrumentalist is a proud Rastafarian armed with a rebel philosophy. As a keen student of Jamaican music, he is fascinated by analogue recording techniques and plays many different instruments, (including guitar, bass and keyboards). He's adept at using Pro-Tools and the rest. His Shengen Studio is better stocked than any museum and contains equipment once owned by the likes of King Tubby and Coxsone Dodd. It's there at his home in the foothills of Kingston where he immerses himself in reggae's past. He boasts the perfect balance of live instrumentation and analogue recording techniques with thought-provoking lyrics, satisfying vocals and classic contemporary sound. Alborosie, real name Alberto D' Ascola, was born in the Sicilian town of Marsala, Italy. After relocating to Milan in his teens, he played in a variety of bands before joining Reggae National Tickets, who regularly toured Europe during the mid-to-late nineties. One day the Tickets were invited to perform in Jamaica - an event that inspired Alborosie to quit the band and change his life around. Soon, he was living in Jamaica and working as an engineer at Gee Jam studios in Portland, where he worked with many leading foreign and Jamaican artists. Years later, he represents an exciting new era for reggae. He has released a number of critically acclaimed albums, including Sound The System, Escape To Babylon and 2 Times Revolution, and even took home the MOBO award for Best Reggae Act in 2011.